Patricia Briggs, the #1 New York Times bestselling author of the Mercy Thompson novels, 'always enchants her readers.' (Lynn Viehl, New York Times bestselling author) Now her Alpha and Omega series-set in a world of shifting shapes, loyalty, and passion- brings werewolves out of the darkness and into a society where fear and prejudice could make the hunters prey... They say opposites attract. And in the case of werewolves Anna Latham and Charles Cornick, they mate. The son-and enforcer-of the leader of the North American werewolves, Charles is a dominant alpha. While Anna, an omega, has the rare ability to calm others of her kind. 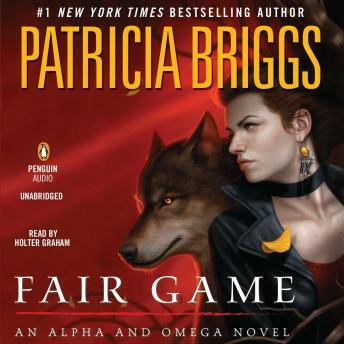 Patricia Briggs other books with Mercedes Thompson is definitely better but this is also a good series if you're waiting for the next Mercedes Thompson Book to come out. Great book! Patricia Briggs is as always a genius at pulling you into the story and keeping you entertained the whole time. I highly recommend this book in addition to all of the others in the Mercy Thompson series.